We are specialized in the windows phone applications like business, customized, branding, business promotion, marketing and cloud applications. We involve our clients during prototype testing so that they can offer feedbacks and we may have chances for modifications, if required. The codes developed by us are perfect to fit in with our client’s business ideas of windows application, irrespective of their fragmentation. At Askme Technologies, we offer end-to-end Windows phone app development services to help our clients appeal to the largest user base possible. Whether you want to create an app just for Windows, convert one of your more popular iOS or Android apps to function on a new platform, or create an enterprise-wide, cross-platform solution for your customers or employees, we can help. 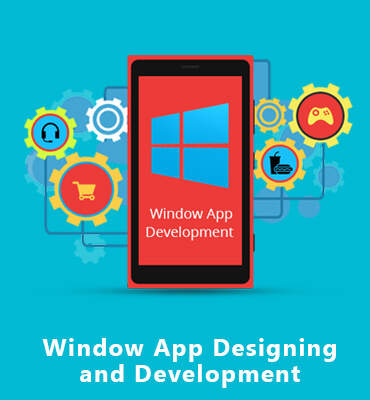 We know how to develop user-friendly, informative, and fun apps for Windows devices.